In the CETES building room 104, a computer lab called the Collaboration Room has opened to the campus. The room features interactive technology and demo computer models that students can try. The content is open to anyone who attends or works at Cameron University and is available from 8 a.m. to 5 p.m.
ITS Director Kelly McClure said the Collaboration Room used to be a computer lab for multimedia. When McClure visited the University of Oklahoma’s campus, he said he noticed that they created spaces for students to be able to work in small groups with plenty of technology to do the work with. Currently the Collaboration Room features six lab computers. The room also functions as a showcase for newer cutting-edge technologies, such as the giant touchscreen monitors and a 3D imaging computer. The giant monitors can be used like a whiteboard to take notes or work out equations. 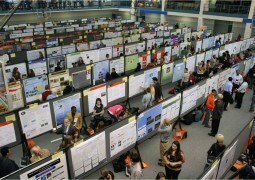 Students and faculty can also connect and extend their own personal computers capabilities by plugging them into the system, operating their desktops on a larger screen. The Collaboration Room also features a virtual reality lab. 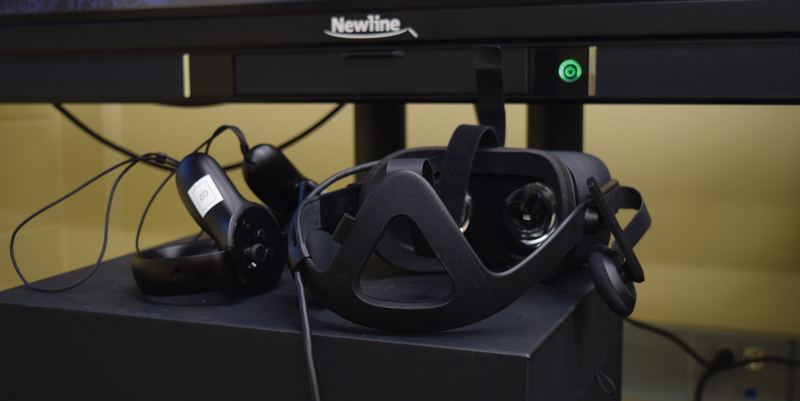 Oculus Rift is available for students and staff to play or use for teambuilding exercises. It is recommended that appointments be made to learn how to use it. Once students know how to properly handle the equipment, they can come in on their own time. The software for the Rift includes many interactive and educational games, plus multiple virtual worlds to explore. Student Help Desk and Tech Support Phillip Stephens can help students with software or computer problems and is the main Oculus Rift guide. Stephens said some of the material for use is actually equipment they don’t own yet. “These demos are brought to us by vendors who want to interest us in new things they’re selling,” he said. “We don’t own this equipment, we’re letting the students test it out. One of the demo computers features a projector and scanner that looks over the front side of the monitor. Part of the desktop is projected onto a special pad that is then laid under the monitor. McClure said the room is adaptable to the needs of people using the space. “There’s no definitive layout for the room,” he said. “We can move things around if necessary. McClure also said the Collaboration Room can be used for student tours of the campus as well. “We have prospective students come in and get a chance to see what Cameron does,” he said. “It’s a room to experiment and try new technology that you may not have used before. For more information, contact Information Technology Services at (580) 581-2453.